Israel is really angry right now. The nation has reportedly suspended working ties with 12 of the UN Security Council countries that voted to pass a resolution urging Israel to halt building settlements on occupied Palestinian land. These countries affected include Britain, France, Russia, China, Japan, Ukraine, Angola, Egypt, Uruguay, Spain, Senegal and New Zealand. 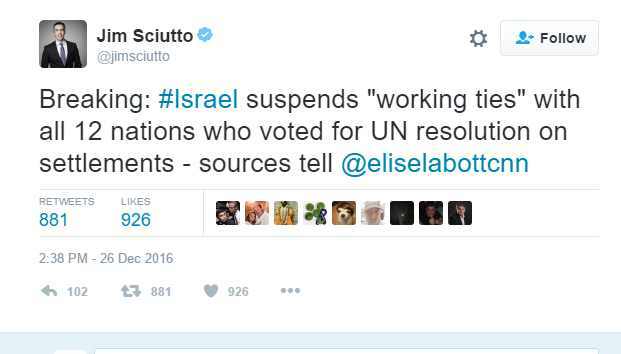 The US abstained from the UN vote on Friday.